Northbound Coffee is roasted in small (tiny, really) batches in our vintage roaster at the base of Mount Shasta in beautiful Northern California. Behind each roast is a ritualized process aimed at crafting coffees that meet our own high standards for our single origin and blended coffees. We spend a good deal of time sourcing and selecting the finest beans, then we roast them to perfection, drawing out their best qualities. Each green bean that enters the workspace is shaped by the geography and climate of the farm where it is grown, and through our cupping process, we seek the best method for presenting the natural flavor of the coffee. We only roast to order, as we believe that the freshest coffee is the best coffee. Each week we begin anew: on Monday, there is no roasted coffee on hand. We roast throughout the week, shipping and delivering everything by Friday, to begin again the next week. Every bag is hand packed and dated to guarantee the coffee drinker the freshest coffee. Each coffee is roasted in our 1956 German Probat roaster that requires a blend of art and science to attain perfection. We cup every roast to assure you have an exceptional coffee experience each and every time. Our attention to detail is driven by our passion for quality. Our love of quality is part of a larger devotion to those things that are built to last and forever produce a phenomenal experience. Sound like too big a promise for just a cup of coffee? Let us be part of your daily coffee ritual and deliver you something pleasantly unexpected. 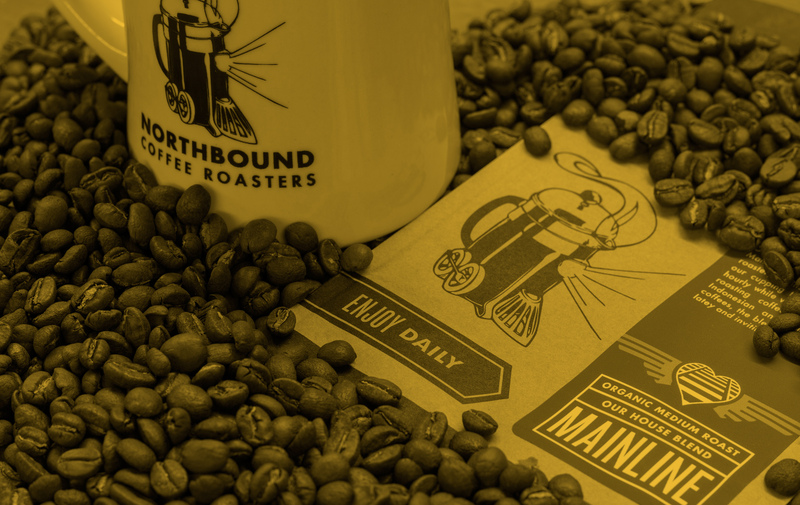 Behind Northbound Coffee Roasters is the husband and wife team of Keith Hamrick and Jen Lovrak. With a combined 22 years in the coffee industry, they passionately pursue top quality coffees and are devoted to producing the perfect cup. Northbound is a small, Mom and Pop, family run business that practices the rituals of craft that any larger roaster would employ. As Northbound Coffee approaches its seventh anniversary in February 2018, Keith and Jen have settled into their roles at Northbound. The company is based on creative collaboration, from selecting and roasting green beans at the cupping table to determining the best roasting profile to creating their distinctive look and labels. We are dedicated to producing coffees that create an experience –from challenging you with an adventurous roast to serving up a warm cup of comfort in our traditional coffees. You’ll taste our devotion in every cup.